DO NOT use pesticides meant for garden or agricultural use. DO NOT use products that appear to be “homemade” or “custom formulated” or products purchased from someone without a license. The most effective way to control bed bugs in your home is through a combination of chemical measures and heat treatments applied by a Pest Management Professional (PMP). Unfortunately, the service of a PMP can be costly. So we are providing information on how to control a bed bug infestation on your own. Controlling bed bugs by yourself is very difficult and time consuming. It involves moving furniture, household goods and personal items. Plan how you want to treat each room. Set up a “clean zone”. Killing bed bugs by hand is not 100% effective. You can capture and squash them or capture them on sticky tape and remove. This may reduce the number of bugs if done over and over again. Tools for hunting and destroying bed bugs: Flashlight, old credit card (or similar) clear tape, plastic bags, and hot soapy water. Steps: Use the flashlight and credit card to search out bed bugs by moving the card along cracks and crevices to push out the bugs. Use the sticky tape to trap the bugs. Use the hot soapy water to wipe up infestations, the bugs, blood stains, droppings, eggs and shed skins. Vacuuming helps to quickly capture and contain bed bugs. Vacuum crevices around baseboards, electronic items (such as TVs and stereos) and any other likely hiding places, such as beds, couches, bedframes, and dressers. If using a canister vacuum, immediately empty the contents into a plastic bag, seal and throw away. Clean the vacuum thoroughly. If using a vacuum with a bag, immediately remove the bag and seal in plastic for disposal. Check the vacuum for any remaining bugs and kill them to avoid spreading the bed bugs further. Laundering is a very effective method to treat items that can be placed in the washing machine or dryer. Collect linens and dirty clothes and seal in plastic bags until they can be washed to decrease the chance of spreading bed bugs. Use the highest temperature the fabric can withstand for washing and drying. If an item cannot be washed, dry it for 30 minutes at the highest temperature the item can withstand. Steam is a very effective method, if done correctly. Use a commercial steamer with a minimum capacity of 1 gallon, preferably with a volume control. A floor or upholstery attachment allows steam to penetrate the fabric of furniture or drapes. To effectively kill bed bugs, the surface temperature of the object being treated should be 160-180°F immediately after the steam brush has passed. Use an infrared thermometer to monitor the temperature. Use care because steam can cause burns. Freezing items that are infested is an easy way to kill bed bugs. All you need is a freezer and some time. When freezing items to kill bed bugs you will need to leave the items in the freezer for at least 4 days, at a temperature that is at or lower than 0°F. Be careful about what you freeze as freezing may cause damage. Mattress covers prevent bed bugs from hiding in the mattress, a prime location for the bugs and difficult to treat. 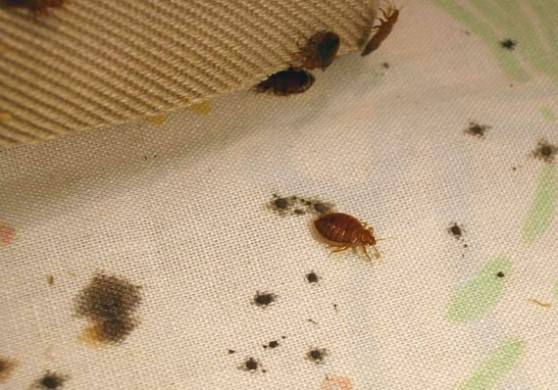 If a mattress is infested, cover it to contain the bed bugs which will start to die after 2 weeks but leave the cover on for at least 18 months. In addition, mattress covers can easily be cleaned if a new infestation occurs. Purchase a mattress cover that is labeled specifically for bed bugs as covers designed only to reduce allergens may not stop bed bugs. 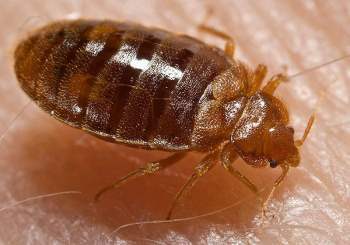 Dry heat treatment is an effective method of controlling bed bugs. This treatment is only conducted by a Pest Management Professional in order to ensure that infested items and rooms reach the required temperature for effective pest control. Do not attempt a heat treatment by yourself. Insecticides are an important part of bed bug control as it is common for individual bed bugs to move away from the main infestation site to another site. Use all insecticides carefully and according to the label. It is highly recommended that you hire a Pest Management Professional to apply the appropriate insecticides. Do not try to treat a bed bug infestation with insecticides labeled for other insects which can cause the bed bugs to disperse and increase the area infested.